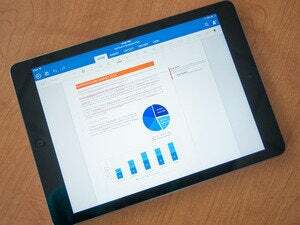 Microsoft’s recently released Office for iPad apps (Word, Excel, and PowerPoint) have some great features. Unfortunately, printing isn’t yet one of them. Microsoft says that printing will be included in a future update, but it wasn’t available at the suite’s initial launch. But never fear: You can in fact print Office documents from your iPad right now. (Assuming, of course, you've already set up your iPad and printer appropriately.) All it takes is a few extra steps plus an extra app or two. 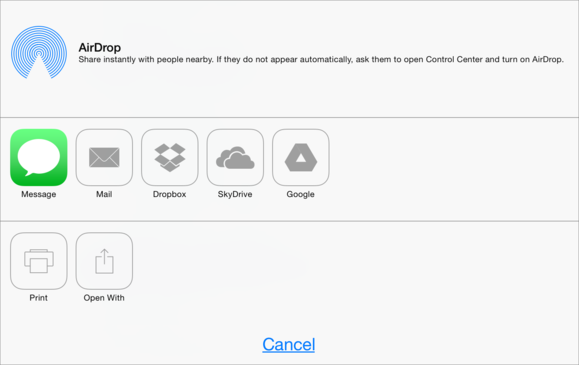 Microsoft's own OneDrive cloud-storage service, where Office for iPad apps store their files, provides the essential workaround. The trick is to get the file you want to print from OneDrive into an app that supports printing. Those apps fall into two categories: Those that connect directly to OneDrive; and those that print documents sent from OneDrive via the Open In command. Here are some examples of each. You may already have one of these or other apps that support both OneDrive and printing. Although their details of operation vary, the basic instructions are: set up the app to connect to your OneDrive account (if you haven’t done so already); locate and download the document you want to print; and tap the Print icon (sometimes hidden in the Share popover). Tap the Share icon in Documents 2 to display iOS 7's standard array of sharing options, and then tap Print. ThinPrint Cloud Printer (Cortado, free). To print to one of these apps, open the document you want to print in OneDrive. If the toolbar isn’t showing at the bottom of the screen, tap the document to display it. Then tap the three-dots icon on the right, tap Open in Another App, and tap the name of the app you want to print with. Depending on the app, it may begin printing immediately, or it may require you to tap a Print button. To send a document from the OneDrive app to a different app that supports printing, first tap the three-dots icon on the right (left), select Open in Another App, and then choose the app you want to use (right). That’s it. 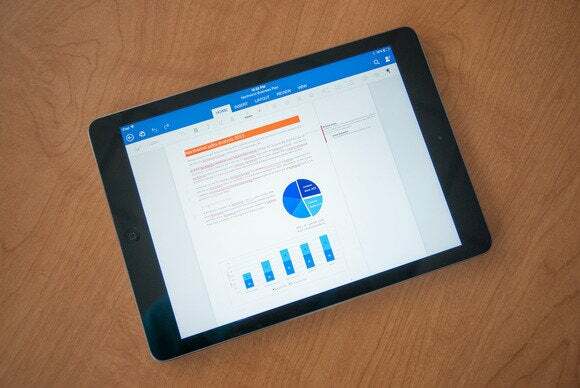 Until Microsoft adds printing as a feature to its Office for iPad suite, those are two ways you can print from Word, Excel, or PowerPoint right now.